What is the Cheap Seats program? The Cheap Seats Program provides deeply discounted tickets to: The Pittsburgh Symphony Orchestra, Pittsburgh Opera, Pittsburgh Cultural Trust, Pittsburgh Ballet Theatre, Pittsburgh Public Theater, Quantum Theatre, Renaissance & Baroque, Pittsburgh CLO/CLO Cabaret, Calliope Folk Music Society, and PICT Classic Theatre. Cheap Seats are offered to students, staff and faculty with a VALID PITT ID. You may purchase up to four tickets at one time, and your guests do not have to be associated with Pitt. You must accompany your guests, however. We work with arts organizations to ensure that "best available" seating is offered for a low price. Individuals with special needs should contact the arts organization directly to purchase tickets and ensure accessible seating. These tickets are available for purchase at our office in Suite 907 in the William Pitt Union. In the hallway outside our office you’ll find the order form for the venue of your choice. Instructions for self-service are located on the wall. There are specific deadlines by which you must purchase tickets for each organization's events. As always, ask our office staff for any assistance that you may need. I am faculty/staff but also a part time student. I count for student price, right? No. Your primary affiliation is the one that matters. If you receive remitted tuition because you are staff, then you are staff, and are not given a student ID from the University. You will always pay the faculty/staff price through the Cheap Seats Program. How do I sign up to receive the weekly e-calendars? You can sign up online to receive the weekly e-mail. Or, you can e-mail PITT ARTS and ask us to place you on the distribution list. Please provide your name, e-mail address, and University status. Where can I find directions to the venues? Browse directions to the venues as well as information about bus routes and a link to a map of downtown. What happens on an Artful Wednesday? Through the Artful Wednesdays program, we bring artists and performers to Nordy's Place in the William Pitt Union (Lower Level) every Wednesday during the fall semester from Noon–1 p.m. Bring your appetite, too, because not only do you get to experience great free art, but you also get a great free lunch! Grab some food, a chair, and check out what we have to offer. No need to sign up, just show up and enjoy. What services does PITT ARTS provide undergraduates? PITT ARTS pays for your museum visit during the fall and spring semesters to the Carnegie Museum of Art, Carnegie Museum of National History, Phipps Conservatory, Mattress Factory, Warhol Museum, the Heinz History Center and now the Soldiers and Sailors Memorial Hall and Museum. Make sure to take your Pitt ID with you! Traditional registered full-time undergraduates (Oakland Campus) may also participate in our Free Arts Encounters. You can sign up to receive a weekly e-mail that lists our upcoming Arts Encounters. Also as a student, you may purchase discounted tickets to many great local venues through our Cheap Seats Program. Visit our office in 907 William Pitt Union to purchase tickets. Is it okay to take pictures at or record performances? No. Generally, the taking of photographs or the use of any recording device are strictly prohibited at performances, as the set, costumes, and performance are all creative or copyrighted property. Posting prohibited photos or videos in Facebook, Instagram, YouTube, or any other public forum may result in legal action. I'm a graduate student/part-time undergrad at Pitt. Can I go on Free Arts Encounters? PITT ARTS Free Arts Encounters are only for Pitt traditional registered full-time undergrads. However, every Wednesday we send out our Hotlist calendar that goes out to graduate/non-traditional students, faculty, and staff who have signed up to receive that e-mail. The Hotlist lets you know about cheap and free arts events going on every week in the city and on campus. Sign up to receive the Hotlist via e-mail. I'm a grad student/part-time student/staff/faculty. How can PITT ARTS benefit me? As a graduate/part-time student, you are welcome to take advantage of Free Visits during the fall and spring semesters to the Carnegie Museums of Art and Natural History, Phipps Conservatory and Botanical Gardens, The Mattress Factory, The Andy Warhol Museum, Soldiers & Sailors Memorial Hall & Museum, and Senator John Heinz History Center. Just take your PITT ID with you when you would like to visit. Faculty, staff, and graduate/non-traditional students may purchase discounted tickets to many local venues. Sign up to receive our weekly e-mail Hotlist highlighting upcoming arts events. Remember, our office's resources are always at your disposal. How can I give back to PITT ARTS? Ticket to the Opera, $98. Ticket to the Symphony, $63. Ticket to the Ballet, $70. Involvement with PITT ARTS—priceless! Did you ever think about the great cultural value that PITT ARTS brings to you and members of the entire Pitt community? Now, consider that ticket prices, transportation, and even catering costs are increasing rapidly. Contributions of all sizes help to keep PITT ARTS alive for you! Please consider giving back to PITT ARTS today. Make your gift online now. Thank you for your support! Why do you have the Free Visits partners that you do? Our Free Visits partners, Phipps Conservatory and Botanical Gardens, the Carnegie Museums of Art and Natural History, Andy Warhol Museum, The Mattress Factory, and the Heinz History Center, and Soldiers & Sailors Memorial Hall and Museum have been major players in the Pittsburgh arts and culture community for many years. They are also programming partners for our Free Arts Encounters programs. Why isn't the PITT ARTS Free Visits program offered in the summer? The goal of PITT ARTS is to provide programming opportunities for our full-time resident students during the academic year and to integrate students who are new to Pittsburgh into the life of the city. I am a part-time Pitt student because I receive remitted tuition due to my status as full-time staff at Pitt. I don't have a student ID. Can I still visit the museums for free because I am a student? No. Your primary affiliation is the one that matters. If you receive remitted tuition because you are staff, then you are staff, and are not given a student ID from the University. You may use your staff ID to enjoy Cheap Seats and “Pitt Nights” at the staff rate. You may not visit the museums for free or attend Free Arts Encounters. 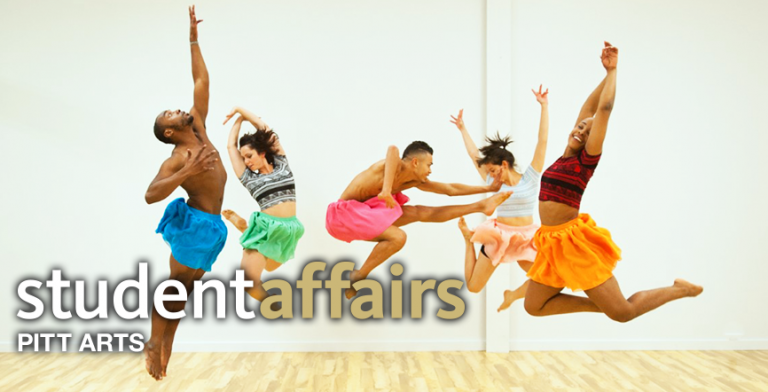 What are Free Arts Encounters? We offer 110 Free Arts Encounters per year to FULL-TIME, traditional, registered undergraduate students at the Oakland campus. These encounters include the symphony, opera, ballet, films, concerts, galleries, and the theater. We provide transportation, a catered reception, and tickets. There is always an educational component that offers a context for the encounter, such as discussions with artists, or hands-on workshops. How do I sign up for Free Arts Encounters? Each Monday, we e-mail a calendar of upcoming events to all of the Pitt full-time registered undergraduates on our e-mail distribution list to let you know about all the exciting arts events that you can experience with us for free. To sign up, just follow the link provided in the e-mail. Sign up for the weekly events e-newsletter. Can I take a friend to Free Arts Encounters? Sure! When you sign yourself up for an event a space is provided on the same form for you to sign up a friend as well. We normally only grant guest status to one person aside from yourself; however, he or she must be a University of Pittsburgh full-time registered undergraduate student at the Oakland campus. You must also provide all of the information requested in the sign-up process, or your guest sign-up may not register on our system. Please do not sign up guests or other friends without their knowledge, as this sometimes leads to guests not knowing they are signed up for a program, missing the event, and receiving a strike. What happens if I'm unable to attend something I have signed up for? If you are ill or have an emergency, please call (412-624-4498) or stop in our office at 907 William Pitt Union to explain your situation. Let us know before 10:00 a.m. on the day of a weekday program or by 10:00 a.m. on the Friday of a weekend program so that we can try to fill your spot. If you do not cancel, please remember we do have a two-strike rule for no-show and another missed event will result in forfeiting future Free Arts Encounters. I cancelled for an Arts Encounter program I had signed up for, and I did it within the time limit. That shouldn’t affect my access to PITT ARTS programs, right? Wrong. We very much discourage cancellations. As we view your record through the PITT ARTS information database, we see whenever you cancel or no-show. Cancelling three times is treated like two no-shows and will make you ineligible to attend our programs. It shows us that going forward, you’re not very reliable. Cancelling does in fact limit your access to the most popular programs. Therefore, sign up only for programs that you plan to attend. If you need to cancel due to bona fide illness or other emergency, please call our office and notify us of your extenuating circumstances. What is the two-strike policy? Our policy is: if you don't show up for one program, you are put on a warning list. If you don't show up for two programs, you are taken off our e-mail distribution list and are no longer eligible to participate in our programs. If you know you need to cancel your participation, call us at 412-624-4498 or email us by noon on the day of the event or the Friday before a weekend event. In other words, we need enough advance notice of your non-participation so we can notify people who may be on a waiting list. Don't take away another student's opportunity by canceling at the last minute or by not showing up. Can I just get my tickets or attend the meal and skip the other activities? No. If you attend a Free Arts Encounter, you are participating in a comprehensive program. We work hard to ensure that there are transportation, food and tickets for all those in attendance. We also provide education, such as a pre-show talk or a tour of the facilities and sometimes even a meet-and-greet with the artist. If you are not sure that you will be able to attend the entire program, we ask that you do not sign up for it. If you wish to go on your own with friends or family, we recommend that you purchase discounted tickets from the prominent display outside of our office or click here. We sell deeply discounted seats for ten different arts organizations. How long is the average event? The average event lasts anywhere from three to five hours. If we have something planned, then we do our very best to stay within the time frame we established. There are times when program timelines or features change due to something outside of our control. No matter how the program unfolds, please be patient and treat your host and fellow students with civility and respect. If you’re concerned about timing, check out the event on its respective Web site or email us. Is there a behavior protocol for PITT ARTS programs? Yes. There are times when program timelines or features change due to something outside of our control. No matter how the program unfolds, please be patient and treat your host and fellow students with civility and respect. We hold ourselves to the standard of interaction put forth in the Pitt Promise, and we ask that you do, too. When you are in the theatre, please refrain from talking during the performance, as it distracts others. Turn off all cellphones, and do not check texts during the performance, as the light from your cellphone is very distracting to all audience-members behind you, and even to performers. I'm 22 years old. Can I drink alcohol at PITT ARTS programs? Please be advised that PITT ARTS programs are ALWAYS alcohol-free events. Keeping a safe and healthy environment is our objective, and regardless of participants’ ages, alcohol consumption is strictly forbidden on our Free Arts Encounters. Each event has a different, suggested code of dress. When deciding what to wear, remember that you will be attending a live performance with other paying patrons, so looking good is important. Performances such as theater or ballet, opera or symphony are dressier than, say, a trip to Phipps or one of the museums. For performances, business casual is suggested. This means no jeans. For women, skirts, dresses, and nice shirts or blouses would be great. For guys, a button-down shirt and dressier pants work well. Ties and jackets are optional, but always look good. Flip flops, sneakers, and book-bags should be left at home; cell phones and pagers should be turned off; and perfume and cologne should be kept at a minimum, because some people are allergic. Common sense is key. How can I become a PITT ARTS host? Most of our hosts have attended a number of our programs. They understand the structure of our events, and, in the past, they have been escorted by our previous hosts and program leaders. Come to our office in 907 William Pitt Union with your resume and ask about hosting. I have special dietary needs...what do I do on the Free Arts Encounters? PITT ARTS welcomes all undergraduate students to experience the Free Arts Encounters Programs and respects that students may have special dietary needs, whether by choice or circumstance. However, due to the number of students on our programs and the potential for a variety of needs, we are not able to accommodate all students regarding individual food choices. Although we do our best to include various options if available from the restaurant, this not always possible or practical. Therefore, if a student has special dietary needs, they may want to speak to the server about possible substitutions for the prearranged meal or, in the alternative, make other dining arrangements prior to the suggested meeting time for the program.